« Learning about Volcanos-vinegar/soda-making colors and explosions. 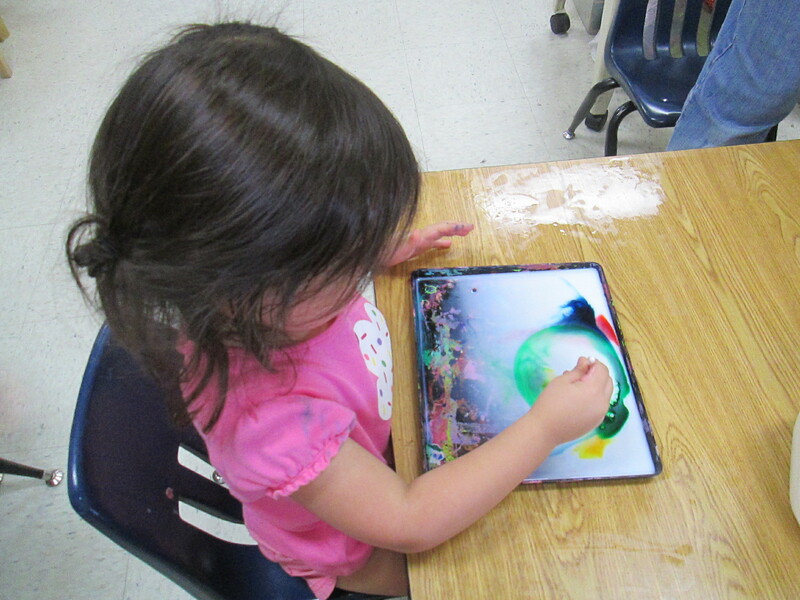 Children learn in all ways, experimentation,and hands on activities! Children learn by doing, watching and then beginning to understand the outcomes. Here, we are working on balance, with magnets- building symmetry. 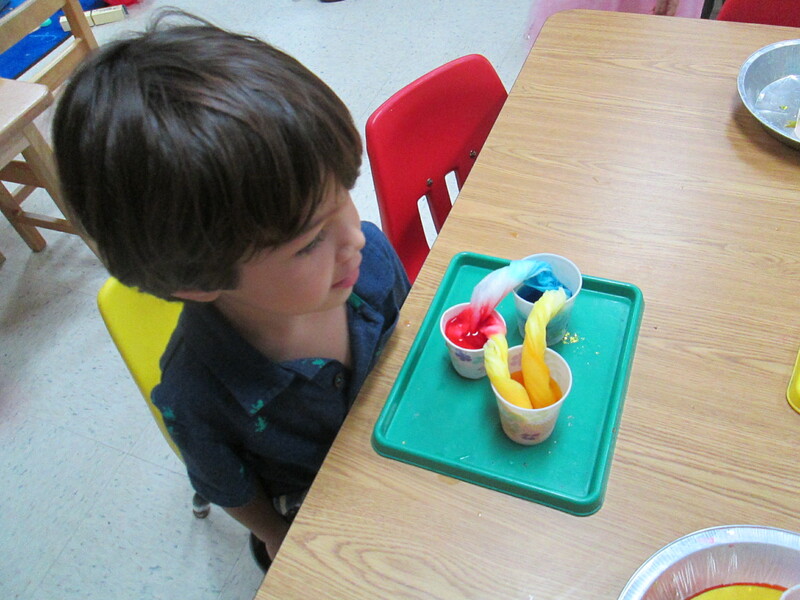 Color experiments with mixing primary colors, making secondary colors through absorption. Experimenting with milk, detergent,and food coloring causing a color separation through a chemical reaction. 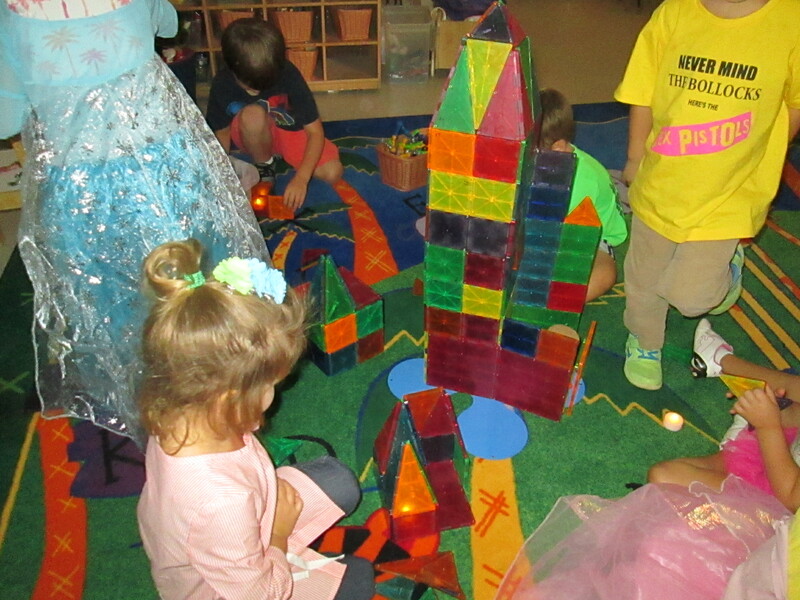 The children analyze and watch while the experiments occur. They LOVE seeing outcome they caused.